We’d love your help. Let us know what’s wrong with this preview of How to Find a Fox by Nilah Magruder. Equipped with a camera and determination, a little girl sets out to track down an elusive red fox. But foxes are sneaky, and it proves more difficult than she thought. 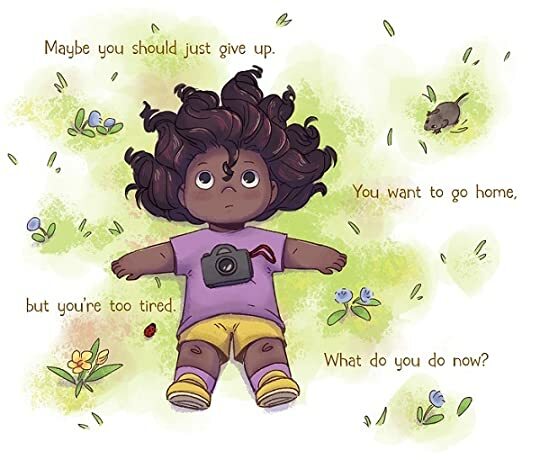 Nilah Magruder's debut picture book charmingly tells the story of what it means to not give up and how sometimes what you're looking for is closer than you think. To ask other readers questions about How to Find a Fox, please sign up. Oh, no! You waited too long. Lying around won't bring foxes to you. Keep looking. Stalk through the grass. Make fox calls. Search by the stream. Make more fox calls. Roll down a hill. It won't help you find a fox, but it's fun. This book is about a fierce, determined, patient girl who is looking for a fox. She is all alone and she wanders through fields, through the woods, and across streams to find a fox. She has a nice camera with a leather strap with her, and a backpack, which I assume has snacks i Oh, no! You waited too long. She is all alone and she wanders through fields, through the woods, and across streams to find a fox. She has a nice camera with a leather strap with her, and a backpack, which I assume has snacks in it. There is nary an adult in sight. She does everything to find foxes. She goes to fox holes. She leaves out bait. She hides under bushes. She follows tracks. She falls asleep while waiting behind a rock. She makes fox calls. She climbs trees. At the end, she does find the fox... or rather, the fox finds her! 1.) The girl. I like the girl because she is very adorable. Also, she is a brown girl with really dark brown, wavy hair. I like that. She has a very cute and expressive face. It's unfair to compare her to Dora the explorer, but there was kind of a Dora the Explorer vibe to this book. But better! Better. 2.) The freedom. We get to see this little girl be active outdoors! She is free to roam the fields and woods and explore. She'll come home before nightfall, but she's free to roam the wilderness around her house until then. 3.) Photography. I like photography, and I like children being able to be artistic by seeing the world through a camera lens. This girl is interested in nature photography! That's great! 4.) The joke. The joke is that the fox is hiding from the little girl. He is behind her when she is looking down the fox hole. He takes her bait (a chicken leg) as soon as she turns her back. When she is hiding behind a rock, he is on top of it. He photobombs a picture she takes of a raccoon family. Children will enjoy this. 5.) Other cute animals. There are so many cute animals in here! Frogs, birds, ladybugs, raccoons, rabbits, squirrels, rats, fish, weasels, skink. Anyway, it's frickin' adorable. All the animals are drawn for maximum cuteness. Obviously, I don't need this book. I find foxen all the time. But, in general, this offers excellent advice on how to go about achieving your goals, especially if your goal is to take a picture of a fox. Mostly, I love this little Lilo-looking kid who runs around the woods with her camera, making fox noises and rolling down hills (that doesn't help you find a fox but it's fun). Look at that determination! I also liked that most of the animals in this book can be found in my region so it was kind Obviously, I don't need this book. I find foxen all the time. But, in general, this offers excellent advice on how to go about achieving your goals, especially if your goal is to take a picture of a fox. I also liked that most of the animals in this book can be found in my region so it was kind of like this was written by a townsfolk, though I know that it wasn't. That's probably a five-lined skink but we have salamanders that look like that so I decided it was a salamander running around in the grass because it was so excited to be part of this fox hunt. 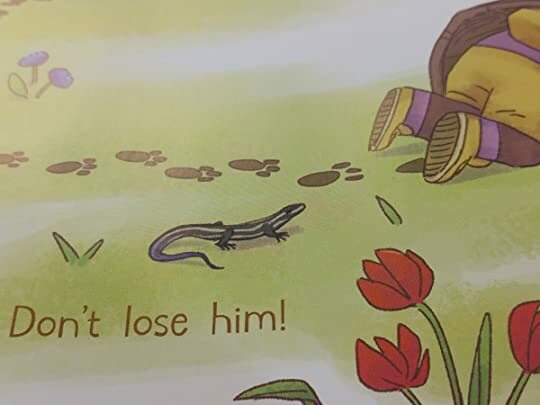 This picture book is adorable. A little girl plays in the woods, hoping to find a fox. Little does she know, she has a sly friend following her. Perfect illustrations and I adore this little girl's vivacity and perseverance. I wish I could give it more stars. I've read it twice since yesterday. Great for ages 2-5 years old....and adults who love wonderful children's books. Review very soon, G-d willing. Super cool picture book! You find it strange when a book is written in the second person. But you get over it when the book is this darn adorable. Super cute fun adventure story. Delightful and touching. Great art and colors. This is the perfect book for me. I want to find a fox!!! I would never give up, just like the girl in this book. It's really funny and cute at the end. Granted I picked up this book as it was one of the new books purchased by my local library but it turned out to be rather good. It's a tad imaginative - I mean, why would an ordinary kid want to find a fox right? So the story goes like this - a little girl went out to find a fox, she tried everything and almost all proven methods, but the fox continues to escape her. She almost gave up until one day, the fox found her! A good book about how determination and perseverance will not let you down. Th Granted I picked up this book as it was one of the new books purchased by my local library but it turned out to be rather good. A good book about how determination and perseverance will not let you down. This is precisely why I read children's books, it's small nuggets of reminders like this, that we all need from time to time. From the book: Take deep breaths, Close your eyes, Take a walk in your mind, Now's not the time to give up. A little girl sets out to find a fox. She immediately finds a fox hole, but the fox isn’t home. She sets out fox bait, then hides and waits so long that she gets sleepy. She tries following fox tracks, but fox are sneaky animals. She puts out more bait and eventually falls fast asleep. She tries making fox calls. Finally, when she climbs a tree to look around, she spots the fox! But she loses him. The little girl is ready to give up, but convinces herself to keep on trying. Perhaps the solution A little girl sets out to find a fox. She immediately finds a fox hole, but the fox isn’t home. She sets out fox bait, then hides and waits so long that she gets sleepy. She tries following fox tracks, but fox are sneaky animals. She puts out more bait and eventually falls fast asleep. She tries making fox calls. Finally, when she climbs a tree to look around, she spots the fox! But she loses him. The little girl is ready to give up, but convinces herself to keep on trying. Perhaps the solution is making the fox want to find her! Magruder has created a wonderfully appealing picture book with an African-American protagonist. Both the little girl and the fox are dynamic characters who capture your attention. 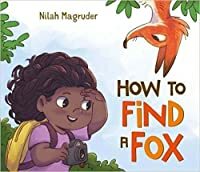 While the little girl searches for the fox, young readers will love spotting him themselves as the little girl just happens to be looking in the wrong direction. These missed encounters add to the excitement of the book. The entire book reads very well and is perfect to share aloud. It shares the value of resilience and persistence. The art has a lot of charm and is reminiscent of Dora the Explorer which will make this a book that children pick up. 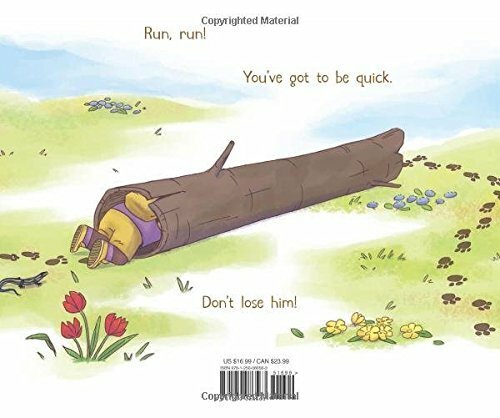 There are illustrations that are wonderful, such as the little girl about to give up, lying flat on her back on the grass, spent. The art will project well for a group. Magruder, Nilah How to Find a Fox. PICTURE BOOK. Feiwel and Friends, 2016. $17. The little girl is determined to go into the forest and find herself a fox friend of her own. The pictures are the best part of the book – they are colorful and delightful. The story however – how can I give a young student a book about going out in the woods alone to attract a wild animal? Can’t. Its one thing when they are tracking dinosaurs, trains, or trucks – things they wouldn’t really be catching – but foxes are Magruder, Nilah How to Find a Fox. PICTURE BOOK. Feiwel and Friends, 2016. $17. The pictures are the best part of the book – they are colorful and delightful. The story however – how can I give a young student a book about going out in the woods alone to attract a wild animal? Can’t. Its one thing when they are tracking dinosaurs, trains, or trucks – things they wouldn’t really be catching – but foxes are real wild animals that should just be left alone. They are not the cute cuddly best friends portrayed in this book. This is an adorable instructive book all about how to catch foxes! Of course, you'll want to take a good picture. And you'll need bait... and a ton of patience. 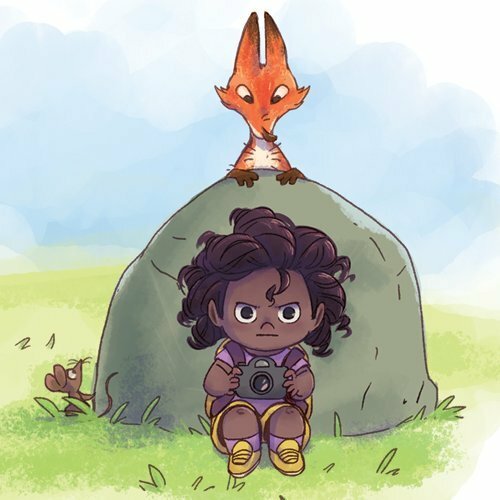 A little girl explores the natural world while a wily fox stays just out of the frame of her pictures. Excellent addition to storytime repertoire - your listeners will spot that fox and find him on every page! Plot / Review: It takes a lot to catch a fox! Readers will love how close (yet so far!) this fox is to the girl throughout the book. I can hear the storytime kids screaming “Fox! Fox!” already lol. This book perfectly captures a child's sense of imagination and adventure (also their patience and/or lack thereof). The illustrations are adorable and the fact that the book is written in second person makes it any child's story. Makes me want to go out hunting foxes. 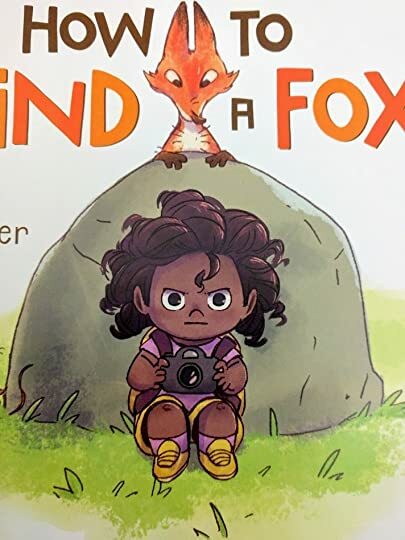 An adorable book about a girl going on a fox hunt to capture a fox with her camera and missing every opportunity until the fox is ready to be found. Adorable story with adorable illustrations. Kids loved this one! Can this cunning protagonist out-fox a fox? Is Fox camera-shy or just eager for a playful session of hide-and-seek? Sweet story with a clever mid-book orientation flip, look for more fun titles from this debut author in the future. What a cute book! I love the illustrations and the little girl is so determined to find a fox that she really overlooks everything around her. Not to spoil the outcome of the book, but her patience finally pays off when she finds a fox (or does the fox find her?). Charming protagonist in an engaging story. YES. The value of persistence and creative thinking. A range of emotions, all valid. The various ways to enjoy the outdoors. And fuzzy animals with cute eyeballs! Great book for the preschool audience. Very simple text and fun. Great art too! Silly and cute. A girl shows how to persevere and find that fox! This is the genre of "character can't see something the kids are pointing out frantically." Love the 'just because' black representation. I love the Illustrations and the color choices, this book needs to be read to a child. The words chosen are way above sight words and would need to be explained.